Today, it’s time to introduce you to the mums who inspire me, who show me that life is not perfect, but that we can build together a house full of peace and serenity. We just need to be two and both involved in making it work. They are from different backgrounds but they share the same love for life and for their families. Faith is important for each one of them; it guides them on the road. And you can see God’s love shining through every one of their actions. Let’s start with Foz @Muslim Mummy. If you stop by her blog, you’ll see review, photos and a fabulous series of posts around forced marriage. And lots of chocolate treats, which we all need when times get rough! Crossing the ocean, on the other side of the world, we find Olivia and her tribe. When I read Olivia @ Soul Singing Liv, I feel surrounded by light and harmony. She makes me believe that this family I am dreaming of exists and that men can also be good men. She helps me to deal with my imperfections. When I see my basket of dirty clothes, thinking I will never be able to handle it, I think of her and let go. There are more important things than dirty clothes and washing machine. It can wait an hour or two, or even a day. What counts is the time that we give to our family, the love we share with them, the joy we experienced together. To finish this series, I’d like to introduce you to Salma day home and playschool @Small Wonders. I am following Salma for some time now and I have to say she is a living inspiration. She seems to turn everything into a lesson, into something positive to teach kids about. She got incredible talent to make others believe they are worth it, to instil confidence and before all she is a luminous lady and a true friend. awww Hun thanks so much for mentioning me! Made my day! Hi Marie, I will check out these lovely ladies. 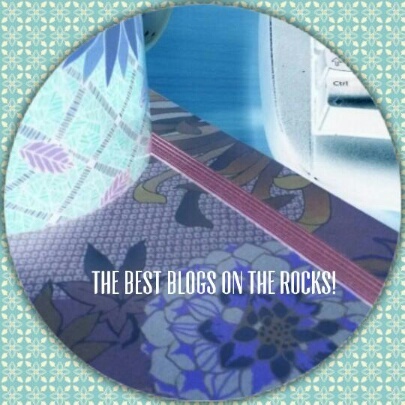 It’s always nice to discover new blogs. Hope you’ll enjoy the trip Lisa. Thank you for stopping by. Don’t you just love blogging friends!!! really blogging showed me a different type of friendship. I’ll check those lovely blogs now.. I do love them Amira. They changed the way I see the world. They showed me that it’s a lovely place if you look at it with a heart full of love and faith. Hope you’ll enjoy reading them. I love you my precious friend!!! I pray for you all of the time, that you will find the love that you are longing for, in God’s time. You are such a blessing to me!! Love you too Olivia! You and your family are a true inspiration to me. Stay blessed always. How nice of you to think of me Marie. We have known each other for quite some time, I am blessed to have you in my life. I want to get back on track and check in often…much to share. I’ve been thinking about you and my precious boy. I will catch up soon (God-willing)! I am sure you have many lovely things to share. As you know it’s always a pleasure to read you and to get updates. You are an inspiration. And I could not resist the urge to share with the rest of the world! Thinking of you too dear friend. Talk soon Insh’allah.